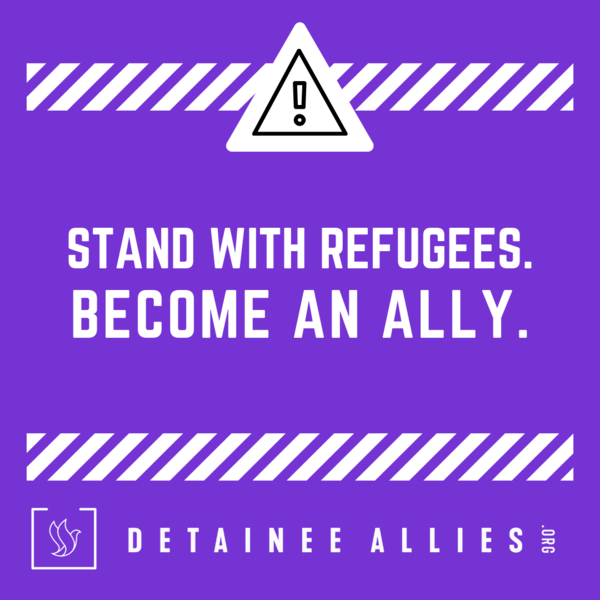 STAND WITH IMPRISONED MIGRANTS & REFUGEES IN THE US. Asylum-seeking refugees who come to the United States out of fear for their lives should not be treated like criminals. We seek to uphold standards of human decency and government accountability by communicating directly with detained refugees at the Otay Mesa Detention Center.